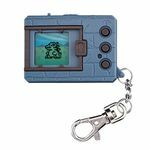 Digital Monster Ver.20th (デジタルモンスター ver.20th Dejitaru Monsutā ver.20th) is a remake of the original Digital Monster Virtual Pet for the 20th Anniversary of the Digimon franchise but with plenty of new features. 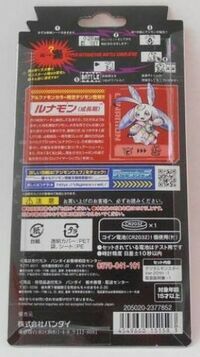 It contains all of the Ver.1 to Ver.5 from the first generation Digimon Virtual Pet line inside it. It has a roster of more than 115 Digimon and simple functions, behaving like a battling Tamagotchi. It now evolves through 6 stages after hatching from the DigiTama, beginning with the Baby I stage and ending in the Ultimate stage, but some could Ultimate can also combine. Players can now raise two Digimon at once and participate in an in-game single or tag battle. Each color contain one exclusive egg which is unobtainable on different color. There are 135 Digimon total. 115 of them are obtainable, 20 of them are not. Press A and B at the same time on the "? EGG" or "GRAVE" to choose a new egg. Press A to select new eggs and B to confirm. 2nd Egg will unlock when your first Digimon evolves to Child level. For a better understanding of the basic functions of the Vpet Ver.20th, please refer to the English Translated Manual. 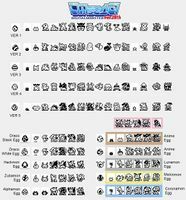 Evolution guides can be found here: Evolution Guides. Winning percentage in battle plays an important role in evolution to the Perfect levels. Keep it at 80% and above for a higher chance of evolving. 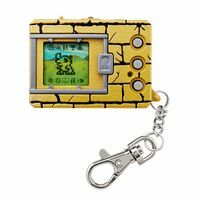 Digimon will beep when either Hunger or Strength meter is empty. Leaving the Digimon unfed for 10 minutes will result in 1 care mistake. Digimon will also beep when its time to sleep. Leaving the Digimon asleep without a blanket for 10 minutes will result in 1 care mistake. Injury/Overfeeding/Sleep Disturbance are NOT care mistakes. Whenever a care mistake is about to happen, the Call Icon (the last icon) lights up and is accompanied with a beeping sound. If you do not attend to your Digimon for 10 minutes, the call icon will go out again, and it will be counted as 1 care mistake. If BOTH hunger and strength run out at the same time, this still only counts as only 1 care mistake. Only successful training rounds are counted for evolution. Successful tag training counts for both Digimon. 4 successful training rounds = 1 effort meter. The effort meter is permanent for each level. If you are aiming for an Adult level Digimon with low training evolution requirement, keep the effort meter low until it evolves. Overfeeding is only important for Child level because certain Adult level needs this requirement. To overfeed, Feed the Digimon with Meat until it won't eat any more (meat only), and when the Digimon refuse this will be counted as 1 Overfeed. Only the first time when the Digimon refuse to eat is counted as 1 overfeed. It is necessary to wait until its Hunger meter drops to 3 or less Hearts (around 30 minutes) before you can overfeeding it again. You may continue to fight tougher battles up to 100 stages, and encounter stronger Digimon to battle with. Resetting the stage will bring you back to stage 1, making it a good method for increasing winning percentage for evolutionary purposes. Copied Digimon may only be selected during battles, and the player cannot actually take care of it. It will also not be registered into their album. Copied Digimon can also used for Jogress. But the copied Digimon will be gone once it has Jogressed. Sleep disturbance requirements have been fully removed as an evolution requirement in the Ver.20th. If you wake a Digimon, it will wake up without counting as a care mistake or sleep disturbance. If you let your Digimon sleep at any other time outside of its sleeping hours, it will continue to sleep for 3 hours straight and fully recover its stamina. 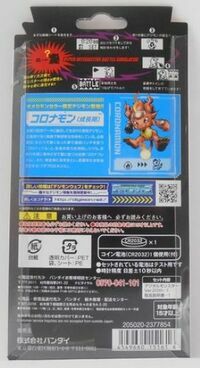 War Greymon can be obtained in Brown 20th by unlocking the Anime egg. While Metal Garurumon can be obtained in Grey 20th by unlocking the Anime egg. There is a chance of failing evolution if you have low win percent so a total winning percentage of 80% or above is recommended. Less than 2 Care Mistake during Perfect level. You can also obtain War Greymon in the White, Black and Gold 20th from the Black Dracomon egg by making more than 3 care mistakes + 100 battles during Perfect stage. You can also obtain Metal Garurumon in the White, Black and Gold 20th from the White Dracomon egg by making more than 3 care mistakes + 100 battles during Perfect stage. Zubamon Egg = Unlocked after 100+ wins in any types of battles. Hackmon Egg = Unlocked after 50+ wins in any types of battles. Dracomon Black Egg = Unlocked upon having more than 5+ Digimon registered in your album. Dracomon White Egg = Unlocked upon having more than 25+ Digimon registered in your album. 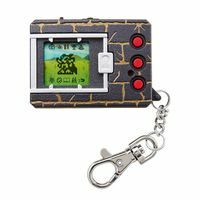 Anime Agumon Egg = Exclusive to the Brown Ver.20th only; unlocked upon connecting with 5 or more V-Pet Ver.20th with a different Tamer name. 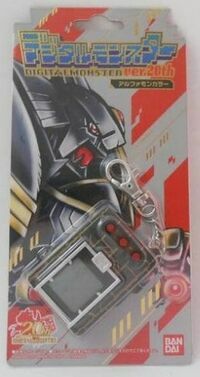 Anime Gabumon Anime Egg = Exclusive to the Gray Ver.20th only; unlocked upon connecting with 5 or more V-Pet Ver.20th with a different Tamer name. Lunamon Egg = Exclusive to the Black Ver.20th only; unlocked upon connecting with 5 or more V=Pet Ver.20th with a different Tamer name. Coronamon Egg = Exclusive to the White Ver.20th only; unlocked upon connecting with 5 or more V-Pet Ver.20th with a different Tamer name. Meicoomon Egg = Exclusive to the Gold Ver.20th only; unlocked upon connecting with 5 or more V-Pet Ver.20th with a different Tamer name. 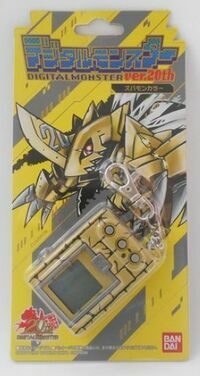 Dorumon Egg = Evolves to Alphamon, Unlocked when a Brown/Gray Ver.20th connects with any Black/Gold/Yellow V-Pet Ver.20th. Unlocks on both upon successful connection. To combine or Jogress a Digimon, have them battle 5 times in a tag battle. Also work with copied Digimon if compatible. Monzaemon, Vademon, Giromon, Piccolomon, and Nanomon cannot evolve to the Ultimate level. Accumulating a total of 20 injuries, leaving a Digimon injured for 6 hours, or not feeding a Digimon for 12 hours will result in death. 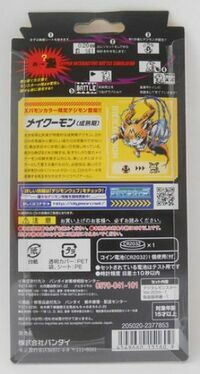 Players are not forced to take care of two Digimon; they can leave the second egg unhatched if they wanted to, but many features cannot be accessed without a copy Digimon. Special eggs such as Dracomon and Hackmon have a linear evolutionary path, so it will eventually evolve to Adult stage even without care. Perfect and Ultimate requirements are still the same. Tired of Digimon getting injured from collecting poop? You can avoid this by leaving the poop uncleaned and your Digimon will never get injured from poop anymore (except for the first time). You also don't have to worry about cleaning poop anymore, but half of your screen will be full of poop which is a bit annoying. Always reset back to battle 1st stage Kunemon during the any of in-game battle. And keep beating it until you have the above 80% ratio you needed. This can only be done on single training only. You can quickly press C when the screens shows the fully destroyed wall to skip the happy animation. The training still counts if you do this. Any way to master the Tag training? Want to purposely make a care mistake? Set the time to 6.45am and let it sleep without a blanket until it wakes up at 7.00am, this counts as 1 care mistake. Repeat if you want more care mistakes. Each process takes roughly 15 minutes. If you only want your 1st partner Digimon to get a care mistake, but not your 2nd partner, put the other partner to sleep with a blanket each time. 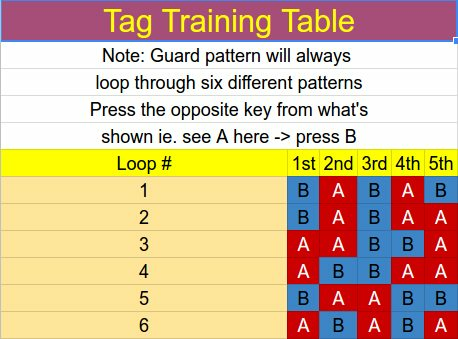 Want Critical attacks on TAG battles? Stop the first bar at the 3rd Level and then tap the 2nd bar 9 times (5th meter). Make sure you stop tapping when the fifth meter appears on screen. Want to quickly kill your Digimon? Feed it 99g Protein/Vitamins and purposely lose to higher level battles (Perfect and Ultimate stage is best) make sure you leave the battle bar untouched so that it will lose and once it has injured 20 times, It will die immediately. 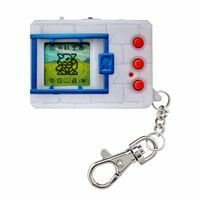 The first wave of 20th Anniversary V-Pets released exactly 20 years after the release of Digital Monster Ver. 1 and in the same original colors. 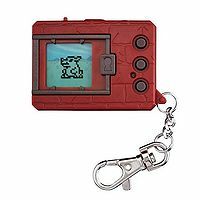 The Digitama designs from the English version of the 1997 V-Pet have been re-used for the new Digimon in the 20th Anniversary V-Pet. 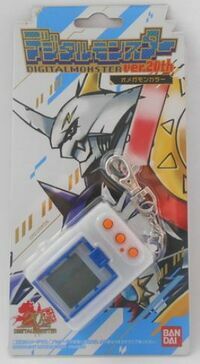 At first, it appeared that the first wave exclusive Omegamon was not obtainable in the Omegamon colored V-Pet however Bandai eventually announced that all three second wave V-Pets will have War Greymon and Metal Garurumon obtainable from the two Dracomon eggs. Grace Novamon made its first appearance as a sprite pixel for the Digital Monster Ver.20th in a Bandai Livestream Event on NicoNico and later in D-1 Grand Prix section on the official Digimon site without having an official announcement. This page was last modified on 11 January 2019, at 22:51.